A perk of working at The Llawnroc means you get to sample all of our talented Chef’s delicious food. 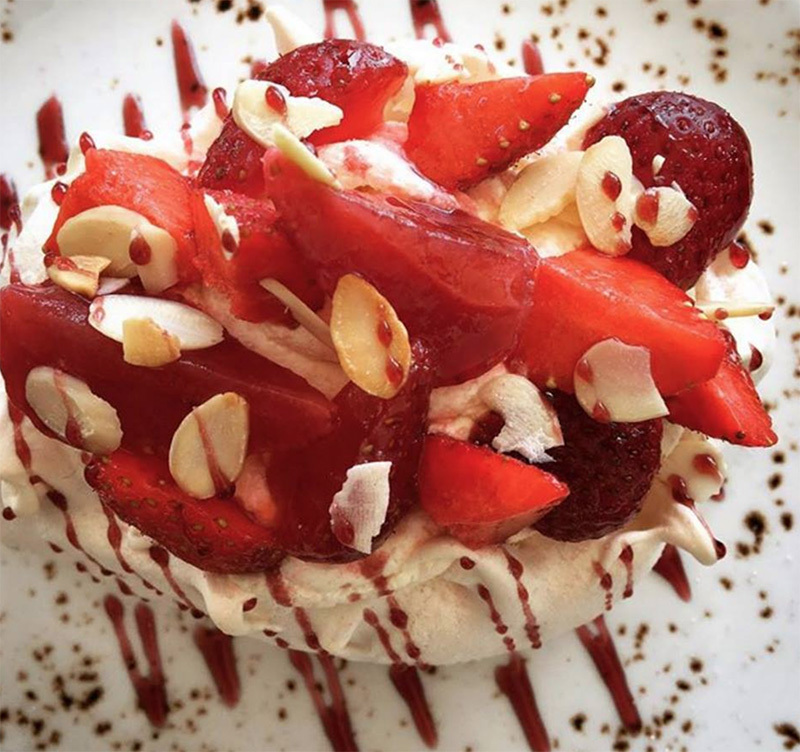 You’ve got to come and try this dessert when we start our Summer menu! Check out one of our new dishes from our Chef Simon Davies. Pork Belly, Tenderstem Broccoli, Mash, Nduja Croquette, Apple Sauce, Sage and Onion Jus. New Head Chef, Simon Davies! We are thrilled to introduce our new Head Chef, Simon Davies! He has worked with Nathan Outlaw as his Sous Chef, and also took over as Head Chef at his Port Isaac restaurant; which later won a Michelin star. 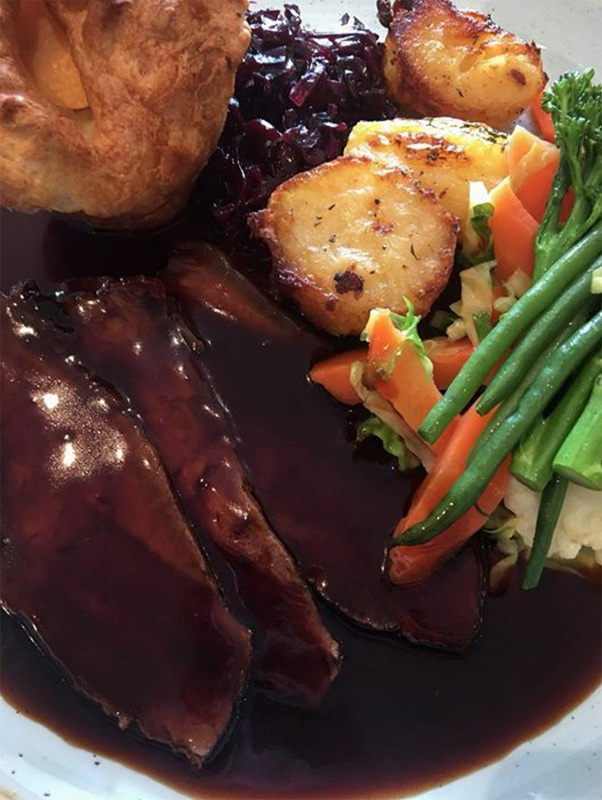 Follow the link to have a look at our new menus! 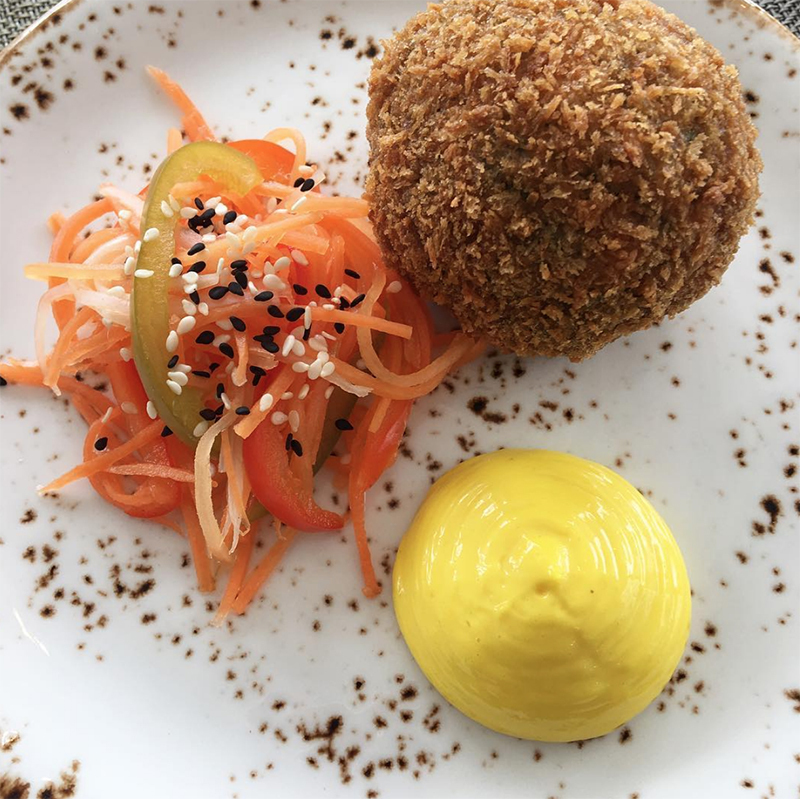 Bacon Scotch Egg, Pickled Vegetables, Curried Mayo.